The Honey-Can-Do Chrome Rolling Urban Triple Sorter is an organizer's dream for any laundry area, this rolling laundry sorter is the perfect tool for quick sorting and washing. The unit has three, full-size sorting bags, which can be easily removed for washing. The sturdy sorter is made from a chrome-finished, steel frame and goes from room to room on smooth rolling swivel casters, which lock in place. 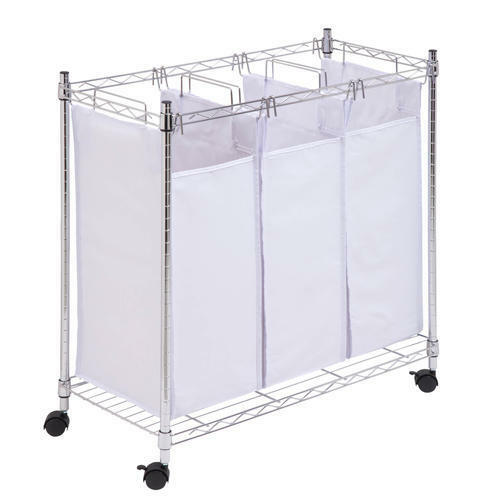 This unit incorporates a steel wire bottom shelf to support even the heaviest loads of laundry.